We've added 3 new animal onesies to our store - and they're seriously cool. 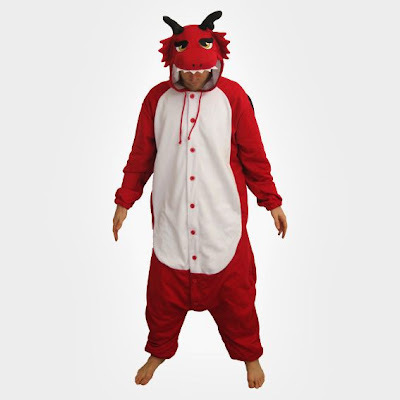 The sloth, red dragon and purple dinosaur are all unisex, made by the long-running onesie brand Sweet Holic, and available in 3 adult sizes. We have limited supply of these products until Christmas, so get in there quickly if you want one. A sloth onesie at last! This has been one of our most frequent requests, so we've been working hard to get hold of one for you, and this guy does not disappoint. 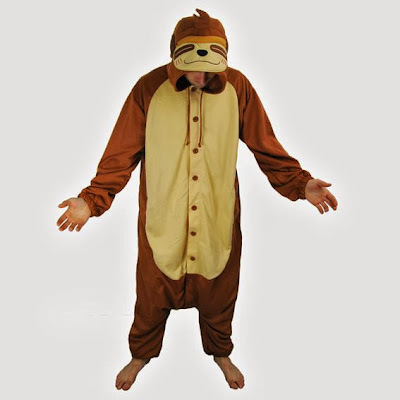 With his lazy grin and hair tuft, this onesie is most definitely sloth-tastic. The perfect gift for the well-loved slob in your life! This redder-than-red fire-breather is joining team dragon (we already had a black one and a green one), and not a moment too soon. Dragons are so in right now. With black wings and a spiky tail at the back, the dragon likeness is spot-on. Being red, it's the perfect gift for the Welshman/woman in your life. 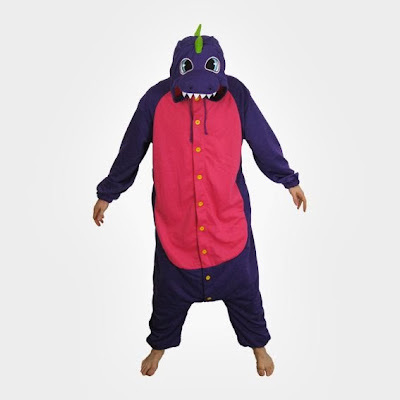 The third dinosaur onesie to join our shop, this one is imagined in a bright purple and pink with yellow buttons and green details on the hood and tail. Seriously colourful and no doubt a ferocious dinosaur.